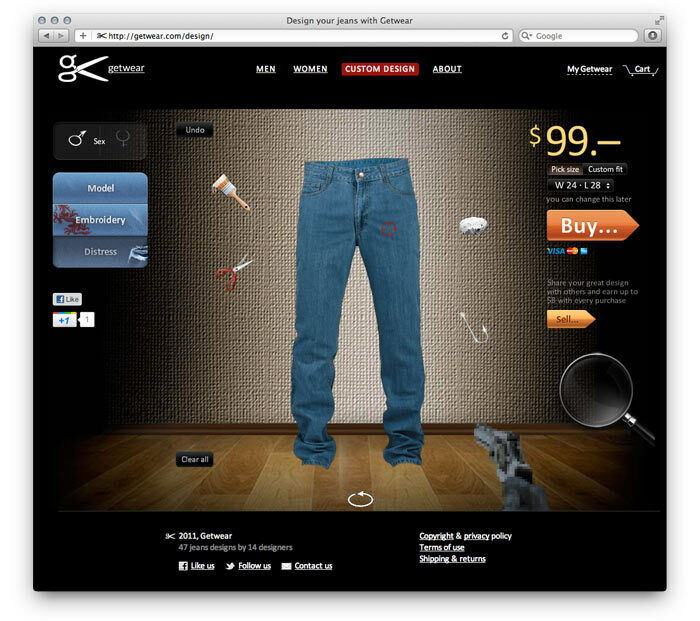 The Getwear online jeans designer helps customers create their own jeans. 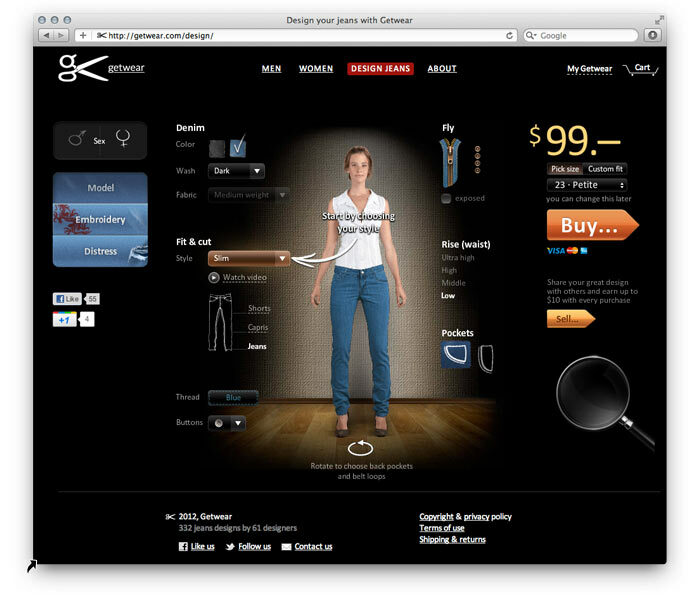 The bureau created a user interface that requires no tailoring skills. 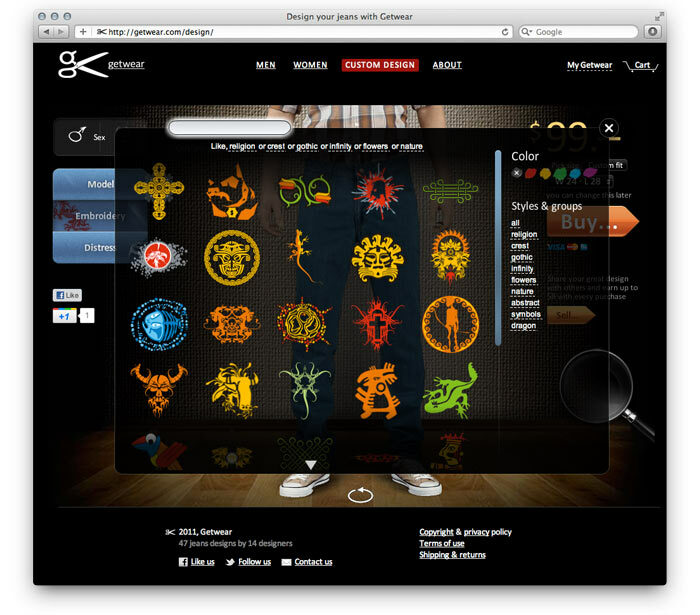 The preview engine composes dozens of independent layers to make up the preview. For women’s jeans, the process is twice as complex.